This is a rectangular United States Express Company porcelain sign. This particular United States Express Company sign is white with blue print. 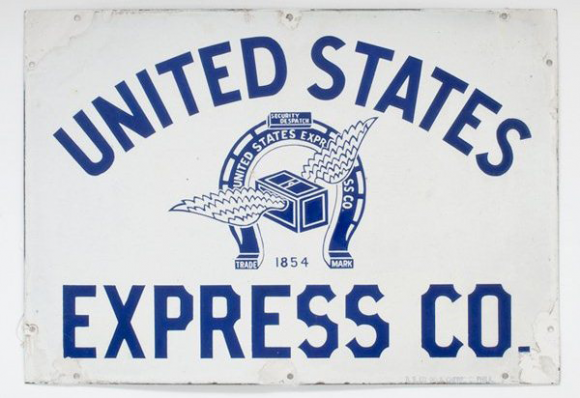 It reads, “United States Express Co., Security Dispatch, 1854” and features a blue horseshoe and a package with wings in the center of the sign.